We’re all in it together….. Except, it seems, we’re not. Every vape advocate I know is doing their level best to do whatever they do to the best of their ability. The vast bulk of them are amateurs (not a slur – I mean they don’t get paid, advocacy is not their job, they’re doing it because they love the Vape, they celebrate the Vape), and there are some who have experience in doing the advocacy and negotiating thing. All of the above are invaluable – they “work” from a point of passion. I love them. I love that Simon Chapman appears not to want to engage with mere “civilians” on this discussion, but here’s my thoughts…. Last week I posted an article which fit nicely in with this blog’s ethos of pro-choice, anti-regulation, free markets and a deep hatred of ‘public health’. Unfortunately, it was deemed beyond the pale by Simon Clark of Forest because it featured a fierce anti ‘public health’ rant from Clive Bates…. Get your toothbrush, your best shoes and – well – maybe think about dusting off that Zippo – and stop by the local quickmart – grab yourself a carton of smokes – don’t bother bringing your #ecig. You “could” buy some disposable cigalike when you land – maybe – wherever you’re going – but you’re not getting yours on the plane…. Next week the Senate is scheduled to debate the FAA reauthorization on the Senate Floor. Senator Blumenthal (D-CT) has proposed an amendment (SA 3547) that will expand the list of hazardous products to vapor devices and prohibit them from being carried on ALL flights…. David Dorn takes the saddle in this weeks VTTV Monday edition. Where, joined by Keith, he’ll be taking a look at the Centurion, the Sigeli t150, having a little rant, and more! It famously helped Barack Obama fund US Presidential bid – and now National Assembly candidates are enthusiastically adopting crowdfunding. Candidates are promising donors unusual benefits from a hemp T-shirt to a mountain run a personalised voting prediction in exchange for their donations of anything from £5 upwards. ALL my life, politicians have been urging people to stop smoking. Now we finally have a breakthrough, some want to stop it. I started smoking cigarettes at 13. Three decades later I would probably still be smoking them because, like millions of others, I couldn’t give up nicotine. But then I found e-cigs. They’re 95 per cent less harmful than normal cigarettes…. … Apparently, by reading people’s minds! This is the message of the Canadian Vaping Association (CVA) to vaping professionals in Quebec after the Government introduced severe vaping restrictions under the Bill 44. After numerous protests over the internet and on the radio, the CVA announced it would react. The provincial government of Ontario finally announced, last month, the implementation of vaping bans after they had delayed the decision, 5 months ago. 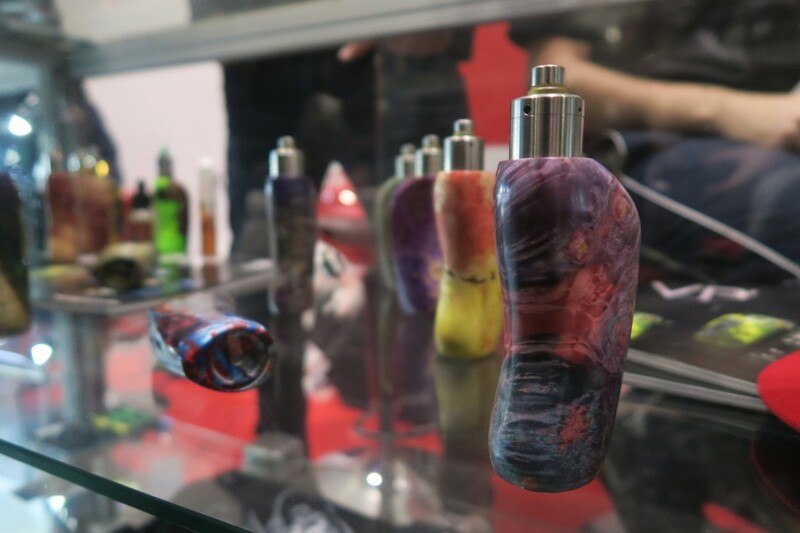 During the 45-day consultation period, between negotiations and protests, vaping associations try to oppose the government’s decision. Industry and advocacy groups are expecting the Food and Drug Administration to release its long-awaited final rule to regulate cigars and electronic cigarettes this month. The FDA, though, is keeping their cards close to the vest. FDA spokesman Michael Felberbaum said he did not have any update to share on the timing of the rule’s release. I’m a father of 4 children. I smoked tobacco from I was 17 until I turned 39. I tried to quit smoking several times, I even talked to my doctor about wanting to quit. The only option the doctors in Norway could offer me was taking a pill cure (pills used for anti depressants).. I told the doctor I wasn’t depressed and working as a counselor myself I know the side effects these pills can give you (not looking good). Finally I met a friend who introduced me to vape and let me put it this way; The day I tried vape for the first time was the day I quit smoking tobacco. I’m now 41 years old and still vape. I’ve now got 4 children who do not worry about dad anymore. In fact they are proud of me and so am I, thanks to vape..